Spring is the season of vibrant colors and new beginnings. 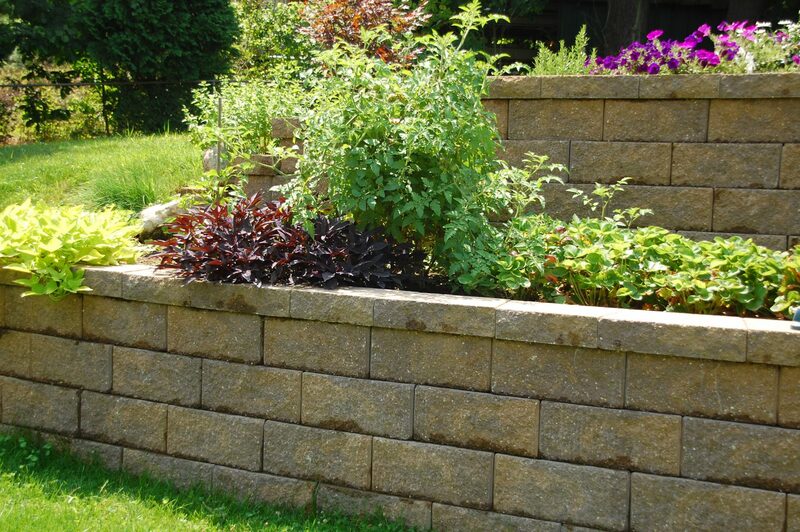 We wanted to continue this trend with this multi layer retaining wall flower bed. The sandy brown retaining wall blocks compliment very well with the mixture of deep purples and light greens emulating from flowers.